Tips for Finding the Best Custom Home Builders in Thornhill! Designing and building a custom home is a dream of many people living in Thornhill, but before you can begin looking at paint swatches, it is important to find the best custom home builder for the job. But hiring custom home builders in Thornhill isn’t something most people do every day. So how do you know where to start? 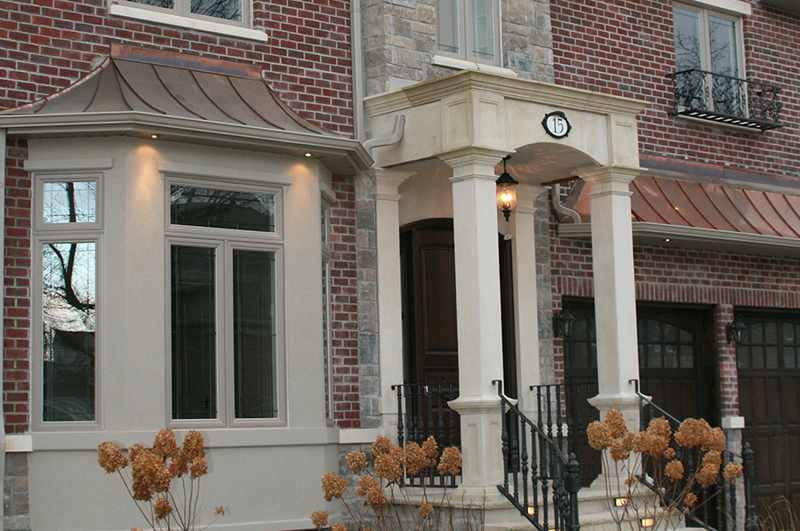 Here are our top tips for finding custom home builders in Thornhill. Go online, talk to friends and family, drive around neighbourhoods looking at homes, do whatever you can to learn about the various custom home builders in your area. Once you’ve narrowed down your selection, check their BBB ratings, look at their portfolios and ask for referrals. The more research you do, the more comfortable you will be with your decision. 2. Know what you want. When you start working with a custom home builder in Thornhill, it is a good idea to know what you want. You should have a budget in mind and a list of features that you would like to see in your custom home. It is important to note however that for most people, their list of wants is bigger than their budget, so you will also need to prioritize so that you are able to get the most important things on your list. 3. Choose a builder who has experience with design. Unless you yourself are an architect, you’re probably not going to show up to your building consultation with plans already drafted. You, therefore, need to choose a home builder who can work closely with architects and designers to make your dream home a reality. When the builder has a strong understanding of design, they can help you by giving you information about potential logistical and cost issues and suggest solutions on how to overcome these. 4. Choose a builder with good communication skills. Building a custom home usually involves a large financial and time commitment. You want to choose a builder who is upfront about costs and timing expectations and who will keep you apprised of both progress and potential problems. 5. Understand what is not including. Many custom home builders in Thornhill will leave certain items out of their budgets as they are items that the builder has no control over the price. These things generally include development charges, utility connection charges, and appliances. When considering your budget, you need to know what is not included in the builder’s budget so that you do not get sticker shock later on. If you are in the process of searching for custom home builders in Thornhill, we would love the opportunity to give you an estimate. Contact Superior Construction today.